The Heard Museum’s popular exhibit Native American Bolo Ties: Vintage and Contemporary Artistry has been traveling the nation. It’s currently on display at the Gilcrease Museum in Tulsa, Okla., until early January, after which it heads to Oklahoma City’s National Cowboy & Western Heritage Museum in February. The good citizens of Oklahoma are so excited about the exhibit coming to their state that Gov. 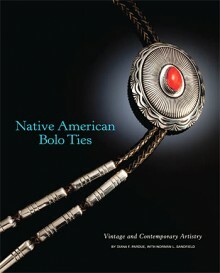 Mary Fallin issued this proclamation celebrating the bolo tie and its role in the American West – and naturally, the Heard’s bolo tie exhibit. You can read the proclamation here: Bolo Tie Days.